In my last post, I shared some pictures from my first 5K race. Why are you talking about this so much? I have mentioned before that I am the type of person that never does anything halfway. When i put my mind to something, I am all in. So when I decided to try my hand at running, I knew it would be a weighty decision, and I was willing to invest whatever it took. Health used to be an afterthought in my life. No, wait. A NEVERthought in my life. I have come to a place in my life and Christian walk where fitness is not just a physical discipline but a SPIRITUAL one. When I look back at video or pictures of me leading worship or preaching with a spare tire, I dislike the God that my appearance portrays. Please understand: i am not speaking of vanity. I simply have come to a place in my walk where I do not want food or lack of fitness to rule me. I really enjoyed it, and I NEVER thought that would happen! And I like talking about things I enjoy. I never expected so many people! When I hear the jokes about the average fitness level of my home state, it hurts my heart a little. It was encouraging to see so many people gathered with the sole common goal of exercise. The race ran out of a couple of sizes of t-shirts, which meant my friend, Jason, didn’t get to take one home. That was a little disappointing. The sheer number of people caused some logistical difficulties. We had to line up right behind the walkers, which meant that, when the race started, we were delayed by a significant amount. I spoke to someone else that ran the race who said that she started at the very end, but was able to scoot around the walkers and score a decent time. I’m certain our time would have been better if we had been able to line up closer to the front. 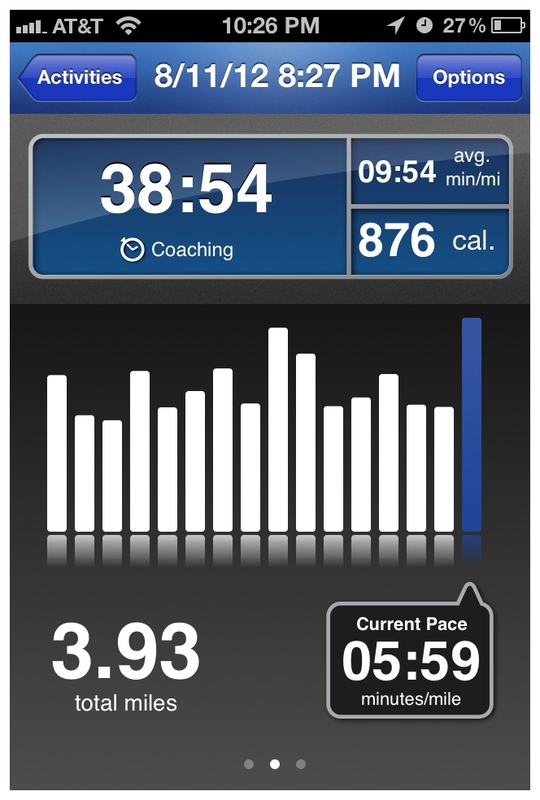 The race was billed as a 5K… but check my RunKeeper readout… Not quite! Now, I can understand GPS issues of a few yards. But I really wonder how far we really ran. 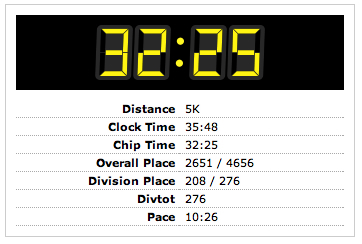 I had no idea how I would do in this race, but I feel really good about the result. I ran the entire time, and had some reserve left over at the end. I’m already looking for my next race! Anyone have one coming up that they can recommend?